Hannah Elise: Winter Giveaway winner + February resolutions! Winter Giveaway winner + February resolutions! Wow, thank you all so much for spreading the word about the giveaway!! I will get your package in the mail! and what's on the horizon for the coming weeks! blog about it and then whole online world will be keeping you accountable. Wow-eee...I feel so happy about all that got accomplished!! It is amazing to see how when you choose to make something a habit, the enjoyment comes later. With journaling this was definitely true. I started forcing myself to sit down and do it, and by the end of January I seriously have begun to love it. I definitely didn't do 4 times, but was consistent with at least several times a week. I'm not finished yet, but I am now over 600 pages in...woohoo! This book is just plain glorious, people..goodness, I just love it. Going to keep plugging away and relish it. Yeaha! This happened consistently, except for the one week where I ended up reading for over an hour to make up for the 30 minutes on 2 days. But it did work really well to just keep my reading on certain days of the week. It has been quite a long time since I have completed reading an entire book. And I may have had to cram in reading 100+ pages on Jan. 31, but I did start and finish "A Million Little Ways" by Emily Freeman. Wow, SUCH an amazing read. I absolutely loved how she kept reitterating that "we are an Image-bearer, and we have a job to do." I wish I could blog about all the points she drew out from Scripture, profound quotes, and personal stories interwoven in there...you'll just have to read it yourself! Highly recommend this one. Yeow--I can't wait for warm weather so its easier to exercise outside. - Finish memorizing 1 Thessalonians 2 and chapter 3. Partayyyy this got accomplished, too!! Mainly because I was doing a memorizing goal with multiple other friends, so I had some serious accountability. Regardless, I'm thrilled about having this done! If you're looking for new Scripture to memorize, this book is for you. Super rich. Done and done. Celebrated with a special coffee drink and big bopper ice cream sandwich. 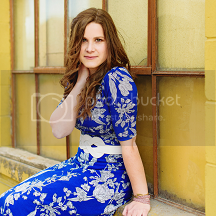 Photographed Natalie..what an awesome first session of the year! Looking forward to doing at least one more before spring. - Blog client gifts, behind-the-scenes, 2013 favorites, and many more sessions I haven't posted yet. Mostly caught up! Just a couple more sessions from last fall left to post. Started working on this..but will have to move onto Feb. goals! A really good exercise to do with your business. I looked back on the things I had written down that "didn't work" from a year ago, and found that I had fixed or gotten rid of almost all of them in 2013. Yay progress! Can't wait to change things this year and push my business forward!! - Journal several times a week. I want to still keep this habit consistent!! - Exercise 4x a week. - Keep reading for 30 minutes on Tuesdays/Thursdays, and finish Count of Monte Cristo, if possible. - Memorize 1 Thessalonians 4. - Get up consistently at 6:30. Honestly, I have been perfecting the night owl life pretty well. However, I want to try and be more disciplined with an earlier bedtime/earlier start to my days. - Catch up on letters. I want to knock out all my handwritten letters by the end of the month, hopefully! - Complete a knitting project. Years ago I learned how to knit, and I just recently refreshed my memory via youtube how to do it...therefore I would like to complete a cool project. I just love this cowl, so I want to attempt something like it--that is, if I can get somewhere and pick up chunky, soft yarn. - Make a list for the day and stick to it. Somehow it's easier to just keep a 'mental' to-do list, isn't it?! However putting your tasks on paper really helps keep you on track..so I'm going to implement this. - Inbox down to zero. Yep, time to clean it out again. I am beyond stoked for the shoots I have coming up this spring...bring it on!! - Research more outfit inspiration, locations for sessions, posing, etc. Lots of various ways I want to improve my skills and brand my business better here in 2014. Even small, sketchy, ghost-towns have their hidden treasures. You better believe I was freaking out when I found them! - Look more into workshops / online photo courses for this year. - Practice shooting more at home. It's easy in an 'off-season' of photography to neglect your camera, as you're catching up on paperwork, blogging sessions, e-mails, etc. But it is so crucial to be practicing your art. So I want to shoot more for me, and get creative..even if it is just taking pictures around the house. So what did you accomplish in January? Any exciting February plans?! Thanks for sharing...both the giveaways, and the goals. Write down 3 gifts per day on 1000 Gifts list. I'm actually in the middle of writing a January recap + February goals post... I'm just... finding inspiration on your blog. ;) Aka procrastinating. Ah, a big bopper ice cream sandwich! Talk about a #throwback!